Trentino, the southern half of the Trentino-Alto Adige region, is largely a mountainous region, shadowed by both the Dolomites and the Rhaetian Alps. 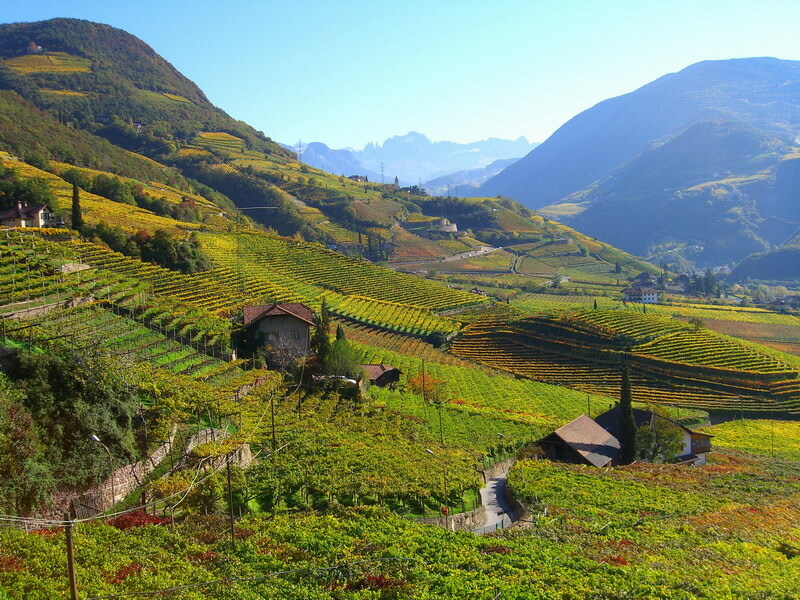 Despite this, sometimes inhospitable landscape, Trentino has a long history of successful wine growing. It is believed that wine has been produced in Trentino since Etruscan times, long before the Romans conquered the region, but until recently Trentino wines were mainly sold as bulk cask wine. Around the valley of the river Adige, vines extend to the left and right, climbing the sides of the river valley and into the mountains. Vines in this region look different to the vines of many other regions in Italy. This is due to the way the vines are grown and trained. 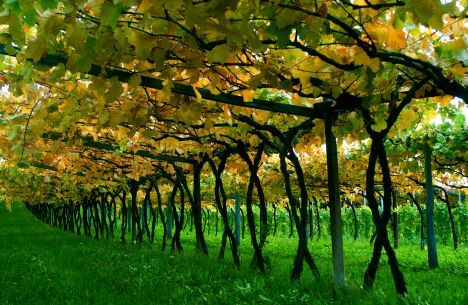 Pergolas (right) is a different method of training vines to the usual method that you would see in France or Germany. This method of training vines ensures very high yields, unfortunately, of often poor quality grapes. Three-quarters of the regions total grape production is not vinified by the wine growers themselves, the majority of the regions grapes go to the large cooperatives and bulk producers to be placed in huge stainless steel tanks and turned into bulk table wines. Vineyard land in this area, however, fetches huge sums of money when sold, this is mainly due to the rampant urbanisation of Trentino has put land prices at a premium and this reduces the risks associated with quality wine production and the low yields it entails. There are producers in the Trentino region who have taken the more difficult route and are producing wines with more quality in mind, some with very notable results. The best known wines of the region are produced using Chardonnay or Pinot Grigio, however, recently many of the regions red wines are receiving more attention from wine lovers around the world. 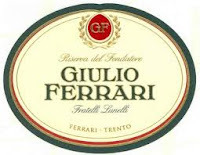 Some of the best red wines are produced using the native red grape variety Teroldego that is grown on the Campo Rotaliano at Mezzocorona and at San Michele, where the rich, alluvial and gravel soils give red wines with a great mineral notes with aromas of liquorice, plums, cherries and violets. Apart from Teroldego, most of the other wines are sold under the regional name Trentino together with the name of the grape variety, Trentino-Pinot Grigio, Trentino Chardonnay etc. 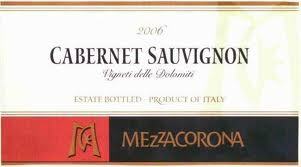 The best of these again are made from red grape varieties, Cabernet Sauvignon and Merlot both produce wines worthy of note, but its the native red grape variety Marzemino which produces some wonderfully rustic, easy-drinking wines. Nosiola, the regions most important white grape variety is only grown here. In the Sarca valley, the valley of the lakes that open into lake Garda, Nosiola is used to make a very good Vin Santo. Last but not least, we need to mention the sparkling wines, Spumante Trento. There are a number of producers, around the city of Trento that specialise in sparkling wine production. Trento can be described as Italy's secret capital of sparkling wine. Wineries here make their sparkling wines from base wines taken from allover northern Italy and have been doing so since the beginning of the 20th century. Most recently the Franciacorta are has begun producing sparkling wines using the same production methods as they do in Champagne. Wines are produced using Chardonnay and Pinot Noir grapes and have been permitted to use the DOC classification on their labels since 1993. In 1990s, the main Italian wineries producing sparkling wines banded together to form an umbrella organisation called Talento (Talent). The other term they considered was Classimo from the term metodo classimo, traditional "methode champenoise" of sparkling wine in bottle fermentation method. Many of the sparkling wines from here now call themselves Trento Talento. Franciacorta and Trentino are the only two classifications of origin applied to sparkling wines in this region. The grapes used are the traditional Champagne varieties, and the best wines are made using the metodo classimo (methode champenoise) bottle fermentation method. Trento Spumante rarely achieves the quality and complexity of Franciacorta, but nevertheless the wines are easy drinking, fresh, fruity and often best for drinking as an aperitif. Trentino is the province's equivalent to the designation Alto Adige. Here, too, a number of varietal wines are sold under the common regional name. One of the most interesting developments in recent years has been in the use of the french grape variety Cabernet Sauvignon. The wine may not achieve greatness, as they do in Bordeaux, nor are the growths of equal quality to those of California but their fruit character and good structure make them a pleasing wine nonetheless. Teroldego is one of Italy's most remarkable grape varieties. It is only on the alluvial plain of the Campo Rotaliano and San Michhele that it grows well and produces good wines worthy of note. Like the Lagrein wine of Alto Adige, which is probably related to Teroldego, it results in full, intensely coloured wines with a great ability to be aged. 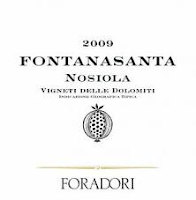 The Nosiola grape was long thought of simply as a variety for blending or distilling. It does, however, make thoroughly respectable wines. In the Cembra valley, it is often blended with more aromatic varieties. In the Sarcatal valley, the valley of the lakes, that drains into lake Garda from the north, it is used to make a wonderful sweet and semisweet Vin Santo.